Four HISD Trustees are up for re-election this year. There are nine Trustees in all, and they serve four-year terms, so in a normal year either four or five are up for re-election. As things stand right now, all four incumbents would be running for re-election, which would be the first time there would be no open seat since at least 2001; Harris County Clerk election records only include HISD results as far back as that. Here’s a brief look at those incumbents, along with their January finance reports and a summary of their campaign balances. 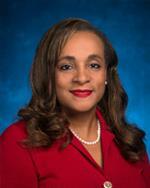 Skillern-Jones is serving her first term as HISD Trustee. She was the only candidate in 2011 to succeed Carol Mims Galloway. After serving as Board Secretary last year, she was elected to be Board President this year. Prior to the redrawing of Trustee district boundaries last year, hers was one of two districts to absorb schools and students from the former North Forest ISD. She officially announced her intent to run for another term a few weeks ago via email and Facebook. As far as I know, she was the first Trustee to make such an announcement, and is the only one whose plans are known so far. As noted, there are four Trustees that would be on the ballot this year if they all do run. Of the four, I’d gladly vote for three of them if I lived in their district. The fourth is Manuel Rodriguez, who disgraced himself in 2011 by sending an anti-gay mailer as an attack against his opponent, Ramiro Fonseca. (Fact I did not realize until I scanned through old election results in researching this post: Fonseca also opposed Rodriguez in 2003, when the seat was last open. He finished third in the field of four.) 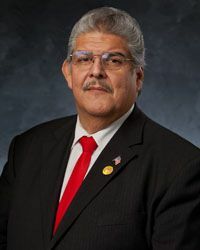 Rodriguez eventually offered a lame apology for his actions, which caused the Houston Chronicle to retract their endorsement of him, after winning an excruciatingly close vote. There was a bit of a hubbub initially, then everyone moved on to other things. I hope everyone remembers this, and that the voters hold Manuel Rodriguez responsible for his despicable behavior if he does choose to run this year. Paula Harris is serving her second term on the HISD board, having won an open seat race in 2007. 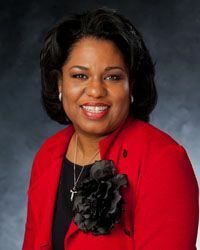 A prominent supporter of HISD Superintendent Terry Grier, she served as Board President in 2011, during some of the more turbulent times of the Grier era. She was also the focal point of some conflict of interest allegations at that time, which eventually led to a revamp of the Board’s ethics policies. Despite that, she won re-election in 2011 easily over token opposition, and has had a much quieter second term. Harris is an engineer who has published a children’s book encouraging kids to explore engineering, and has been a booster of STEM education on the board. Juliet Stipeche, who served as Board president last year, is finishing her first full term in office. 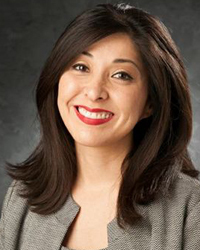 She won a special election in 2010 to fill a seat left vacant by the resignation of then-Trustee Diana Davila. She was one of the driving forces behind that ethics policy revamp, which occurred in 2012, before the last bond referendum. She has also been one of the more active critics of Superintendent Grier, though as noted things have been quieter on that front of late. Her district also contains some former North Forest ISD territory. In my opinion, she’s one of the Board’s best members. The HISD Board does not have a Council-like blackout period, so incumbents and candidates were able to raise money during 2014. Rhonda Skillern-Jones was the busiest of the four, but I wouldn’t read too much into any of this. We’re very early in the cycle, and the one thing I feel confident saying is that we don’t know what kind of Trustee races we’re going to get yet.